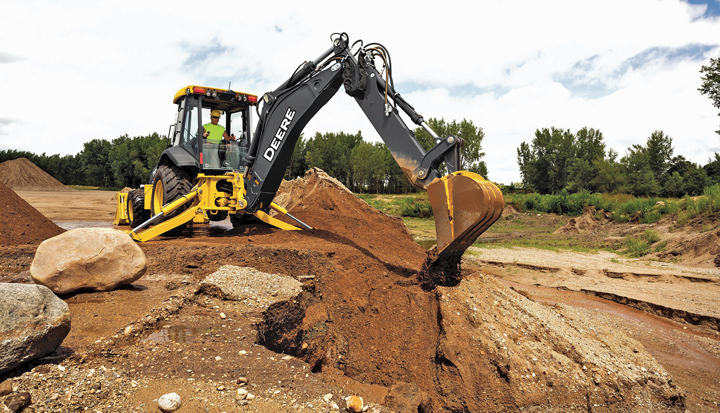 Acting as the perfect blend of excavator and wheel loader in one machine, the backhoe loader has made a name for itself among utility contractors. 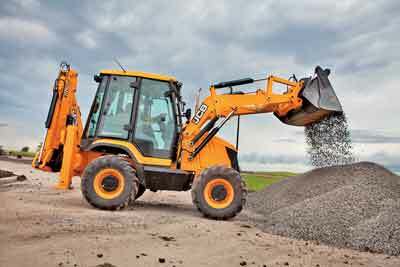 With its ability to dig, lift, carry and everything in between, it’s become a great asset to an equipment fleet. Over the years, rental has become a valuable resource for contractors looking to try out a machine or use equipment on an as-needed basis. Backhoes are no exception to that and have secured a solid spot in the rental yard. ■ Your machine cost is basically fixed, which helps in estimating costs to bid projects. If rental is an option a contractor would like to pursue, companies offer various timeframes a machine can be borrowed — daily, weekly and monthly. As for the cost, Betcher says that rental rates vary significantly depending on what part of the country a contractor is in, as well as by the duration of the rental and spec of the particular machine. Delivery can be an additional cost if a contractor needs to have the backhoe brought to the jobsite, but Nuñez points out that many companies typically have the proper truck and trailer needed to safely tow the machine and any attachments. As with any equipment purchase or rental, the first place to start in the decision-making process is knowing the job the backhoe is expected to complete. Being up front with this will allow a rental company to pair a contractor with the best model available. These considerations include the environment, required dig depth and power that’s needed to run any attachments. Environmental concerns such as muddy conditions always make a good case for a backhoe with four-wheel drive. Hennings points out that this allows an operator to have great maneuverability around the job and while traveling between worksites. While the most popular dig depth for a backhoe seems to be 14 ft, some operators may require a bit more reach. In that case, a renter can look to a machine with an extend-a-hoe. This will ensure the operator has the ability to dig as deep as needed without bringing in another machine. Depending on what attachments are needed, utility contractors may require the ability to use auxiliary hydraulics for sufficient power. Betcher mentions that many rental fleets stock backhoes that can do that, but a premium rate may be applied for a more functional machine. Keeping the operator in mind is also a good idea when selecting a machine. A comfortable atmosphere leads to a more confident and productive operator. Control pattern preference is a great starting point. Although some rental lots prefer to stock backhoes with standard ROPS, contractors may look to machines with a few more creature comforts. For example, comfortable cabs can be a selling point depending on the weather. Air conditioning isn’t always standard, but may be appreciated by an operator who is working all day long. 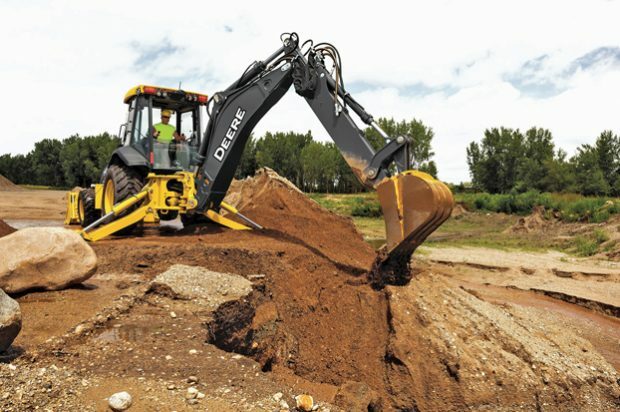 Thanks to its versatile, two-machines-in-one package, backhoes are a great addition to a utility contractor’s arsenal of equipment. If purchasing doesn’t fit the budget or the machine simply won’t be needed for a long period of time, rental companies are ready and able to help an operator find the right backhoe for the task at hand. Pam Kleineke is managing editor of Compact Equipment.